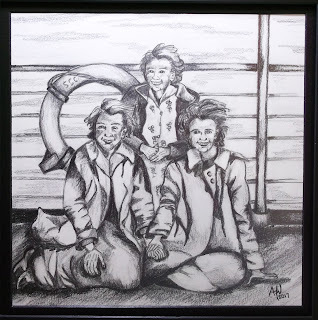 Description: Many years ago, Anna VanderSchaaf (De Rooy) immigrated from the Netherlands to Canada on a boat named "The Waterman" after World War II to start a new life, as her life then was not easy. Her immigration journey was difficult and although decades later, it still pains her to talk about it now. Yet, many of her memories are about how this new country became home. She remembers feeling welcomed when arriving to Canada. She received legal citizenship status so that she could begin working, get married, start a business, and start a family. 60 years later, she now calls Canada her home. 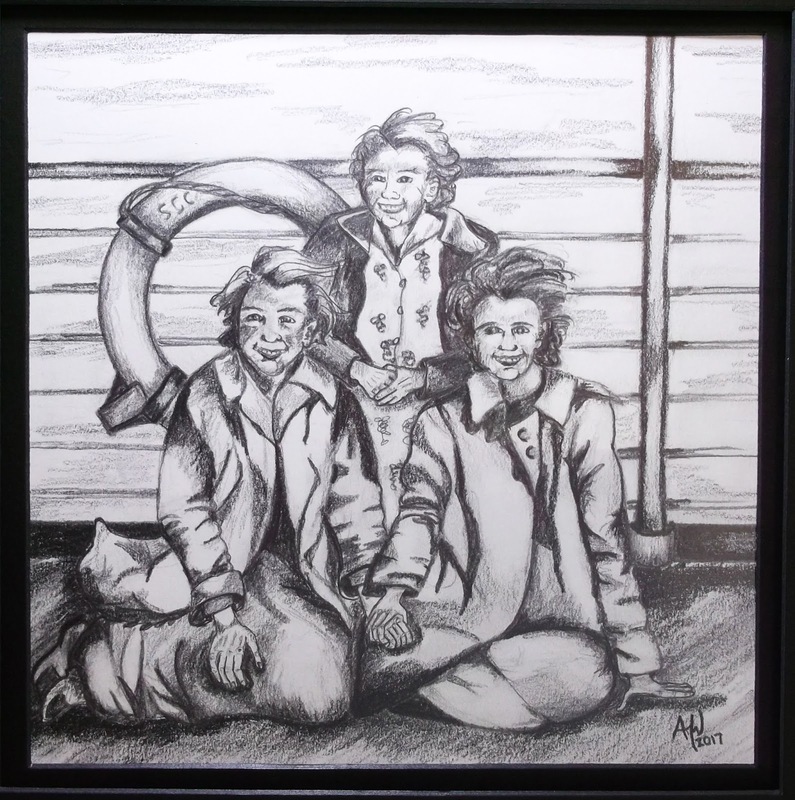 This piece captures a joyful yet uncertain moment as Anna nears Canada on the boat with her family and other immigrants aboard. Can't we also open our arms and allow our country to become home for immigrants?